gave. That may help to get some responses. standing water in full sun. water is heated they do very well. I'd be willing to bet the best way to grow this plant is the method Julius has described on this board and in Aroideana articles in the past. I think the article in Aroideana is titled "Experiencing Urospathas" but I dont have that volume "yet" so dont quote me on it. Anyway, Cyrtosperma merkusii is an aquatic aroid that gets humongous so you will need a pond or shallow dish of water and alot of room. I grow most of my aquatics in concrete mixing tubs of various sizes in my greenhouse. They are sunk into the ground to give a more natural look and are installed with 200 watt submersible aquarium heaters kept at around 82-85F. Usually pumps are installed as well for good circulation but as of right now I dont have any in the "ponds"....need to get that done before it gets colder. I use tall plastic pots filled about 1/4 of the way with lava rock and the rest 50/50 peat and sand. The pots are placed in the ponds so that the level of the water doesnt go above the level of the lava rock in the pot. Be sure to keep an eye on the water level in the ponds because in a warm/hot greenhouse the water can evaporate rather quickly and your left with a burnt up 30 dollar aquarium heater! Also be sure to clean out the water in the pond on a regular basis. Thats my experience but Im sure 'more' experienced aquatic aroid growers like Julius can give some more helpful tips as well. 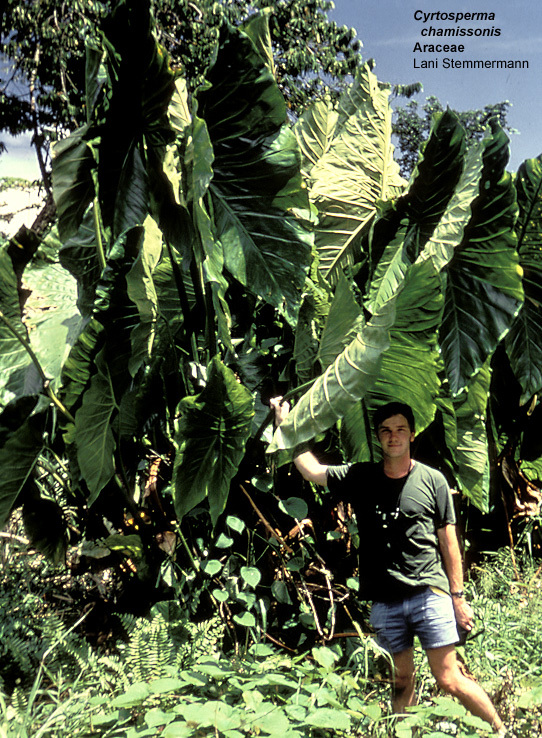 Good luck finding one of these extraordinary plants. There were a few for sale at the show in Miami a few weeks ago I believe. is no longer up. This was the closest I have seen to it.